Pressure the Politicians - A Manifesto for Housing! We demand that MPs and councillors move to end the housing crisis by way of the measures set out by the Unite Housing worker's Manifesto. Evictions are at a record high. Council house building is being destroyed and sold off with waiting lists growing. Housing has become insecure, often unsafe and unaffordable Companies are exploiting workers in homeless organisations and Housing Associations, organisations which are often seeing surpluses, yet cuts to pay and important services are being cut. 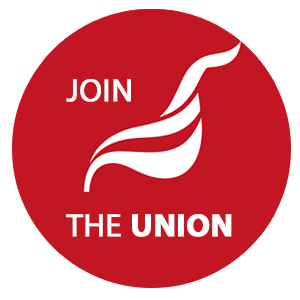 Companies who have blacklisted workers in trade unions are being contracted for public contracts, we say NO. Build and repair over 300,000 council houses per year, incorporating improved accessibility and environmental standards. End unfair benefit caps and other benefit cuts such as the Bedroom Tax. Restore and increase the Independent Living Fund. Protect Supported Housing and ring fence services which are vital for some of the most in need of specialist support. Give decent pay and conditions for workers in housing and social care. Bring in a £10ph National Minimum Wage so that ordinary workers can afford the cost of housing. End the Blacklist. Restrict the commissioning of social housing and maintenance services to providers who have signed up to the Joint Industry Board National Agreement for Engineering Construction. Act to remove approved providers found guilty of blacklisting. Nationalise the banks. Taking over the banks on a permanent basis would enable investment to be planned in line with democratically decided priorities including housing that working people can afford. We must put a stop to the disaster of austerity and build secure homes for the 99%. Please cut and paste the full manifesto or add the link and ask your MP's and councillors to pledge their support.